Young birds are kept for about a month or two during which they are fed with washed out meat from master hands and become used to the presence of humans. In late summer they are ‘broken’ by being tied to a wooden block so that they fall when they try to fly away. During this time they are not given food. After few days they become exhausted and ready for training. 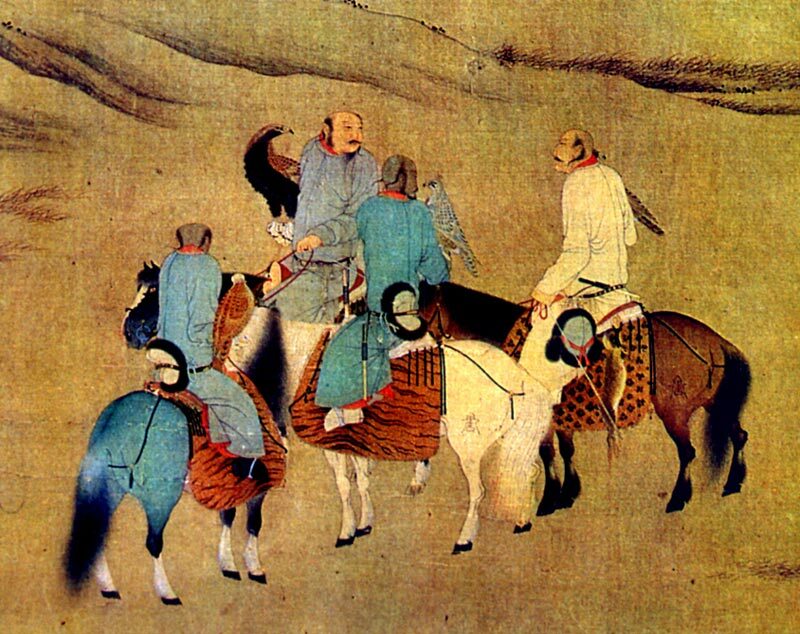 They are sat on a pole called a tugir and one of young men pulls a lure made of small animal skins in front of the bird. When she attacks the lure called shirga, they are given some meat as reward. The eagles are trained to hunt marmots, rabbits and small foxes. 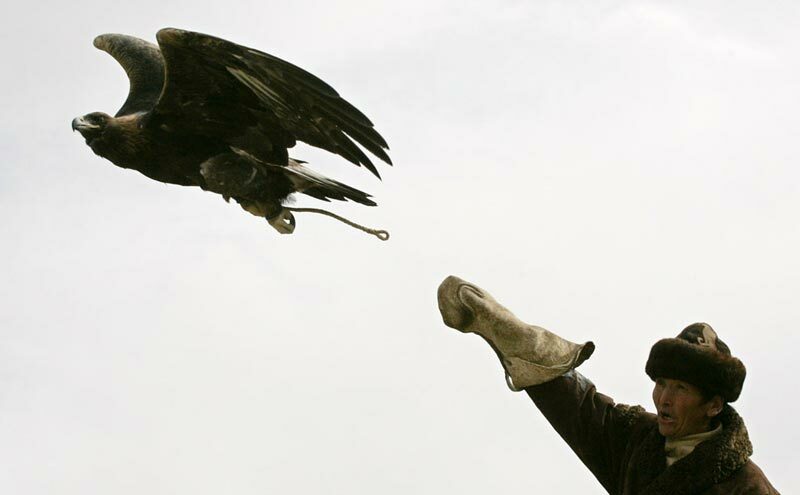 The hunters eventually train the eagle to hunt down foxes, even wolves. This type of hunting has been done for supposedly thousands of years, and the practice is passed down through families.